Tammy Klein, CISR, CPIW, CSRM joined the agency in 1998 already having 10 years of insurance experience. Tammy specializes in personal lines, group/individual health and life insurance. 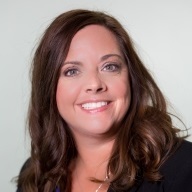 She earned the Certified Insurance Service Representative (CISR) designation in 1997, and earned her Quality Risk Management for Schools (CSRM) in 2016. Both are nationally recognized as important credentials for insurance agents, benefiting her agency and clients. Tammy graduated from NICC with an Associate’s Degree in Marketing/Management. Tammy is married to Patrick (Chico) and they have 2 daughters, Allison and Anna. Together, they own and operate a farm and co-own T & K Pumping, Inc. In her free-time, Tammy volunteers at her daughters’ schools, she also likes to boat, garden, and attend sporting events for her daughters. In the winter her family likes to snowmobile.